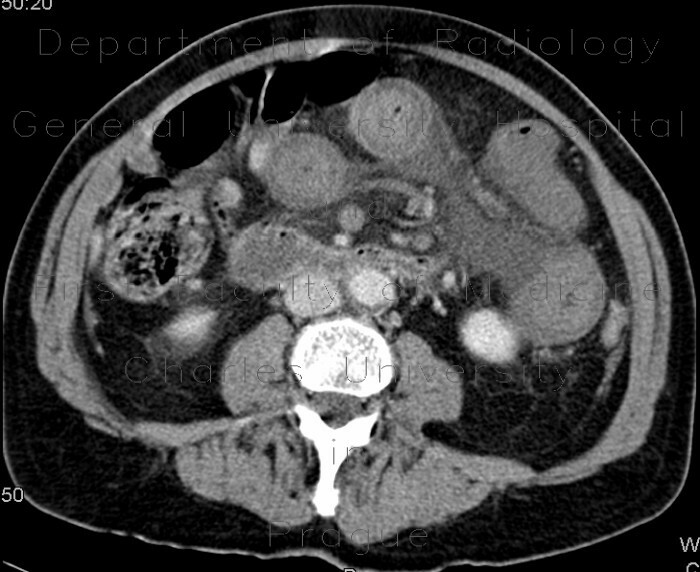 Thrombosed, hypodense, dilated portal vein, lienal vein, mesenteric vein and its branches. Venous infraction of small bowel loops with edematous wall thickening which is still enhancing. Edema of the mesentery. Perfusion changes in the liver.